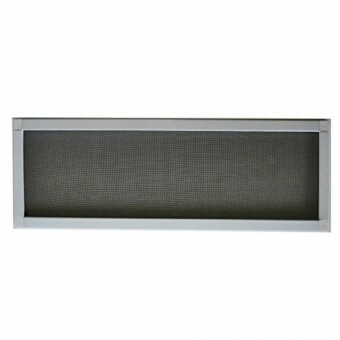 Home » Soffit Vents » Soffit Vent 7"X16"
Product Code: Soffit Vent 7"X16"
Soffit Vent 7" x 16"
Soffit Vent Dimensions (outside) width 7" length 16" thickness 5/16"
Made from high alloy Aluminum framing with fiberglass mesh. This under eave soffit vent will provide adequate air flow and ventilation to your attic, resulting in energy savings and drying moisture that can breed mold. 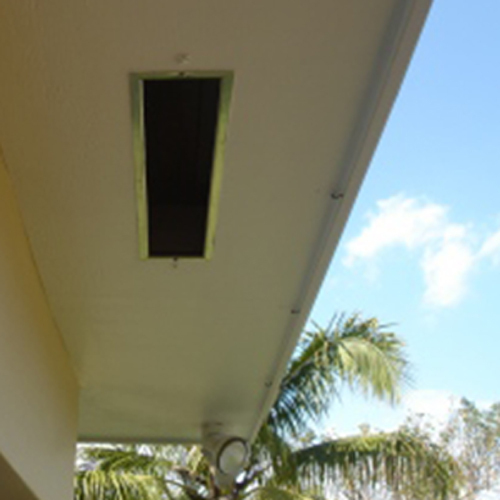 This soffit vent is used in Metro Dade County where building codes are of the highest standards.